Product Description Tube with end fittings connect with female and male fittings. 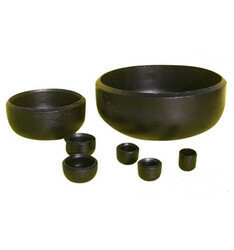 The tube fitting is casting iron and scaffolding pipe is hot dip galvanized material. The tube fitting is casting iron and scaffolding pipe is hot dip galvanized material. 1.9" outside diameter13 or 10 Gauge wall thickness Hot dipped galvanized inside and outside with male and female Fittings. Our screw end brass fittings are made from casting or forged brass. Availavle from 1/8 to 2 in BSP or BSPT threads.Application : Low pressure oil, Air, Water, Gases, Steam Etc. 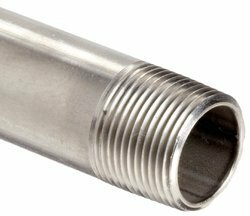 We offer high quality hose end fittings to our clients at highly competitive prices. The Flexible metallic hose assemblies are obtained by attaching end fitting to corrugated hoses by either tag welding or silver brazing which make these metal hose assembly then capable of being attached to the pipe work system. With the help of capable professionals, we have been competent to offer a wide range of Traub End Fitting. We offer this product at nominal prices. To accomplish the diverse requirements of our valued clients, we are engaged in providing an extensive range of End Fitting Parts.